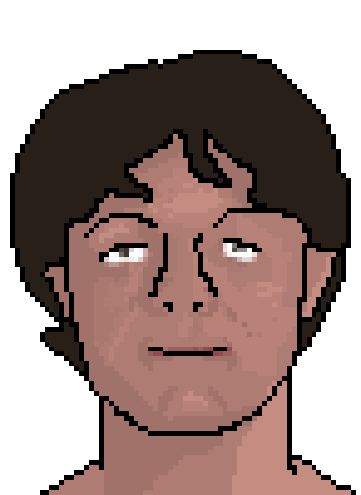 The next project was pixel art. This was a difficult one for me because it represents everything I try to avoid in digital art (that being pixelization, posterization). But at least I not have a certain respect for the artists who do it because it's not easy. The second part of the project was to create a small animation using some pixel art from the other students.